Some of the following information was provided by Nancy Salisbury, Mary Helen's daughter. Other information was gathered from Out of the Blue and Into History, by Betty Turner, and On Final Approach by Byrd Granger. The two photos in the text were provided by Texas Women's University. Mary was born in Lawerenceville, Illinois, on May 28, 1916. Mary joined the WASP in the summer of 1944 and graduated on August 4, 1944, with 72 other women. After graduation she was assigned to Grand Island Army Air Base in Grand Island, Nebraska. 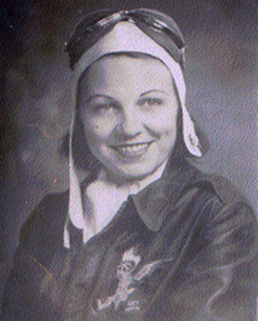 While stationed there she learned to fly the B-17, C-46, C-47, and C-54. 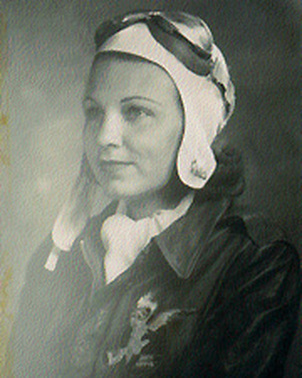 She was the copilot for General Frank Armstrong, CG/17th Operational Training Wing. In October, 1944, Mary and Dora were sent on a shuttle mission to Albuquerque, New Mexico. They are delivering top secret hardware and to maintain secrecy, the two women a locked into the cockpit of the cargo plan before the cargo was loaded and remained there until the cargo was delivered and unloaded. Luckily, there were not inflight incidents that they could not have escaped from.